Destin Travel Deals: Sterling Resorts 4th Night FREE is Back Starting 8/17! Sterling Resorts 4th Night FREE is Back Starting 8/17! 4th night FREE at several Sterling Resort properties in Destin & Panama City Beach, FL on TripShock.com. These properties include favorites such as Splash Resort, Calypso, Laketown Wharf, Sterling Sands, Sterling Shores, and Huntington By The Sea. Labor Day weekend excluded from this offer. Offer valid for stays through 10/31! 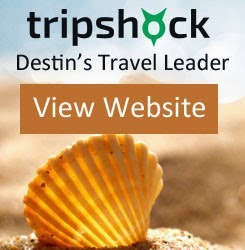 Search for your beach vacation now on TripShock.com!